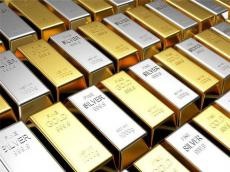 Price of gold increased in Azerbaijan Oct. 11, while silver, platinum and palladium prices dropped, according to the data published by the country’s Central Bank. The price of gold increased by 6.4685 manats to 2,028.9245 manats per ounce in the country on Oct. 17, compared to the price on Oct. 10. The price of silver decreased by 0.165 manats to 24.2918 manats per ounce. The price of platinum increased by 17.0425 manats to 1,389.427 manats. Meanwhile, the price of palladium decreased by 8.8825 manats to 1,819.6885 manats in the country.